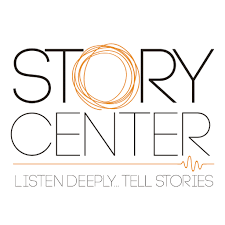 This comprehensive guide covers how to develop a strategy to guide your work, how to tell great stories in any format and engage audiences, some methods used in telling stories for social change, and the structure you need to incorporate stories into your everyday work. Online or PDF versions of “a planning tool that helps nonprofits make smart choices and develop high-impact communications strategies.” The interactive Smart Chart 3.0 is an online tool that can help you make and assess strategic decisions if you are: Just starting the communications planning process; Evaluating a communications effort already in progress; Reviewing a communications effort you’ve already completed. Point of Intervention Worksheet: Identifying where to intervene with a new story: this worksheet gives groups a framework to think through places in the system were we can take action for change. Story-based Strategy Model: Grassroots Organizing Meets Narrative Power: This chart provides a step-by-step method for applying the story-based strategy approach to planning a campaign and taking creative action.